Faces and Voices of Cancer (“F&V”) is a project to collect and publish the first-person accounts of those impacted by cancer and those impacting cancer treatment and diagnosis including: patients, survivors, the family members of patients and survivors, clinicians, researchers, advocates, and non-profit leaders. In addition to highlighting stories of agony, victory, character, and determination, the project seeks to raise awareness and funding for cancer research, via National Foundation for Cancer Research (“NFCR”) grants to leading oncology researchers. Each account includes a firsthand written account, a portrait photograph or photographs, and in some instances, a video documentary. Faces and Voices is a joint project of MediaWerks and the National Foundation for Cancer Research. MediaWerks is a multichannel developer, producer, and distributor of social impact media (print, digital, and video) and events focused on driving positive, social change. Focus areas include 1) social impact investor events (cleantech and life sciences), two leading, regional/statewide parenting/family publications, non-profit events and retreats supporting sexually abused women, a news and politics site targeting core urban political and cultural issues, and a cancer magazine delivered into oncologist offices and leading oncology centers. MediaWerks also provides branding, content and video production services, and media services to non-profits and social businesses. The MediaWerks team has significant executive level leadership experience at both major, Fortune 100 media corporations and startups, ranging through print and digital publishing, events, video production, branding and positioning. 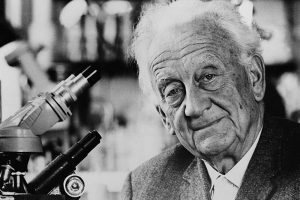 The National Foundation for Cancer Research (NFCR) was founded in 1973 by Franklin Salisbury Sr. and Noble Laureate Albert Szent-György to support cancer research and public education relating to the prevention, early diagnosis, better treatments and ultimately, a cure for cancer. NFCR promotes and facilitates collaboration among scientists to accelerate the pace of discovery from bench to bedside. NFCR is committed to Research for a Cure – cures for all types of cancer. In order to fully conquer this devastating disease, we fund scientists and laboratories worldwide to study cancer at its most fundamental level. Currently, our projects include improving cancer prevention strategies, developing early-detection tools and advancing targeted cancer therapies. Our work would not be possible without the support of millions of individual donors across the United States and around the world. With continued support, we will continue to foster collaboration amongst scientists around the world and across disciplines; provide seed funding and flexibility for innovative ideas and research; and maintain our long-term vision and commitment to cancer research. We envision a future without the specter of cancer. We will not stop until we find a cure for all types of cancer. © Copyright 2018 Faces and Voices of Cancer™ Project. A partnership between NFCR and MediaWerks Publishing, LLC.